Should there be warning labels on fast foods? Should SUV drivers pay extra taxes? Should employers be allowed to require drug testing of prospective employees? 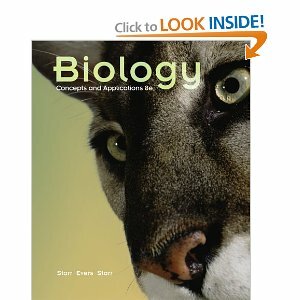 This introductory biology text helps you learn the process of science and basic biological principles while encouraging you to think about critical issues. New "Take Home Messages" help you grasp key concepts while special features like the chapter opening case studies and "How Would You Vote?" questions make the material come to life. New "Figure It Out" questions in many illustrations help you understand the concepts communicated in the figures and the new Data Analysis Activities at the end of every chapter strengthen your analytical skills. This book has been widely praised for clear and engaging writing, art with step-by-step callouts, and terrific support from student media that all work together to help you "get" biology.